The Noise button turns noise on and off for the selected mesh. If no noise has been applied then the NoiseMaker pop-up interface will be launched. 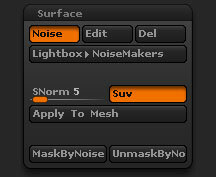 The SNorm slider will smooth the normals of the mesh before Apply To Mesh is pressed. 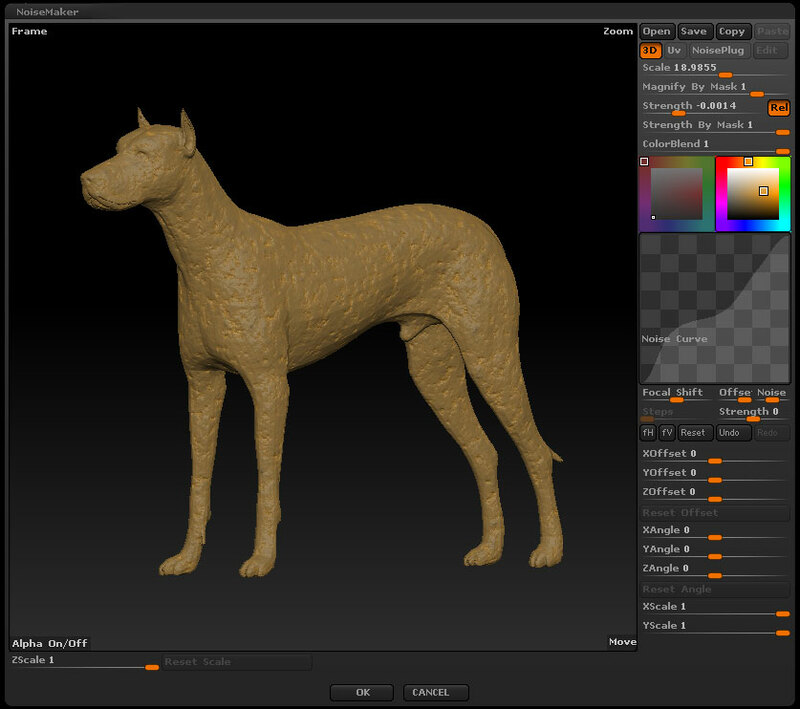 This will help avoid overlapping polygons when the noise is applied.